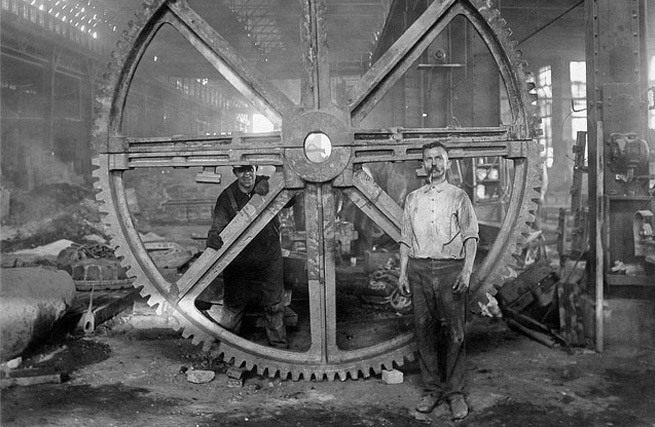 Roman Kwasniewski’s 1924 photograph of a gear twice as tall as a man reflects industrial Milwaukee’s special skill in metal fabrication. 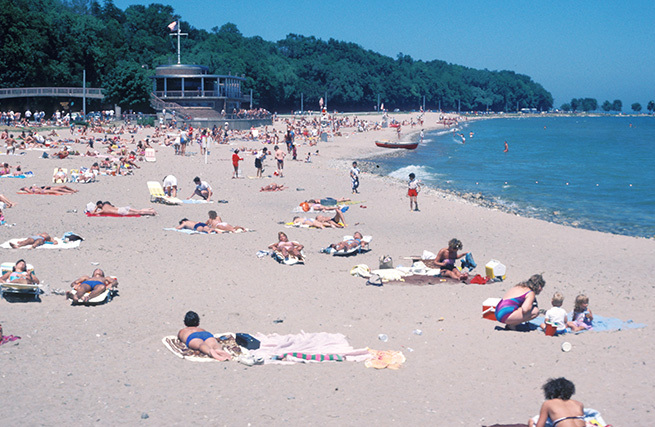 Milwaukee county residents enjoy summer sunshine and sand on Lake Michigan’s shoreline in 1985. Image of David Lenz’s Wishes in the Wind courtesy of David Lenz and the Suzanne and Richard Pieper Family Foundation. 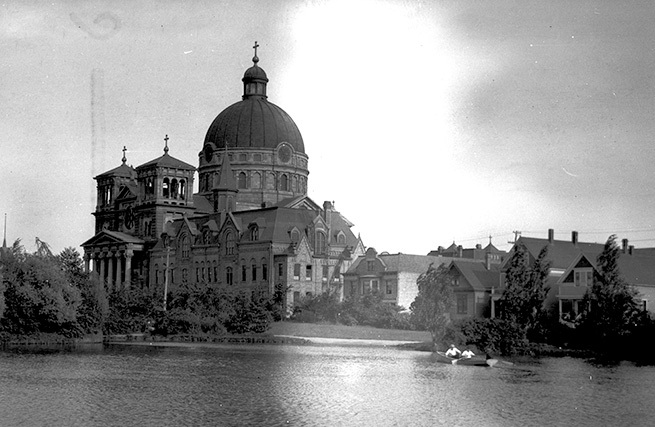 This photograph from around 1920 shows the Basilica from the lagoon in Kosciuszko Park. 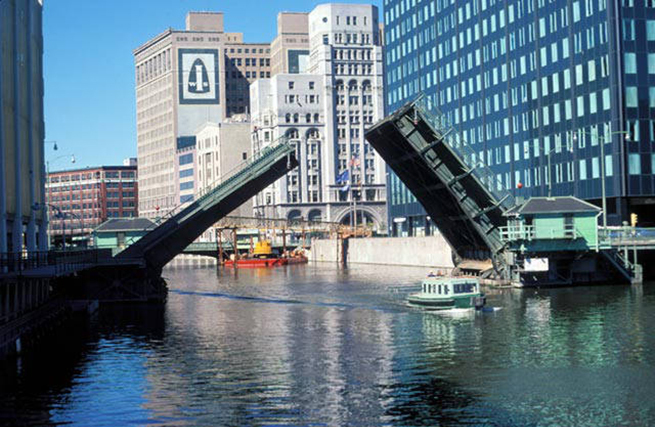 Automobiles and boats traverse Milwaukee’s downtown by the Michigan Avenue Bridge in this 1974 photograph by Harold Mayer. 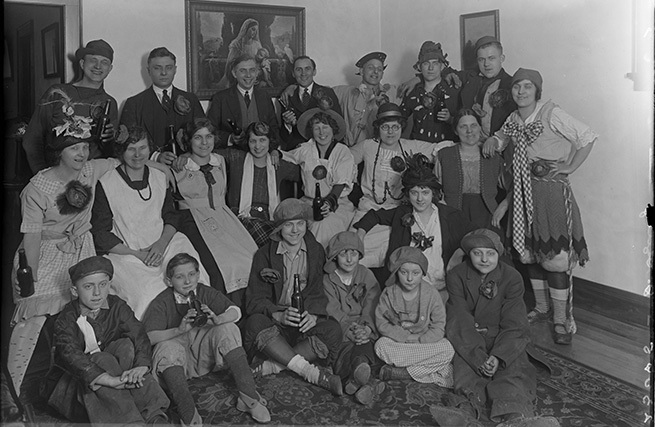 The German sense of conviviality and comfort animated social gatherings among Milwaukeeans of various ethnic backgrounds, even at this “Hard Time party” taken by Roman Kwasniewski in 1924. 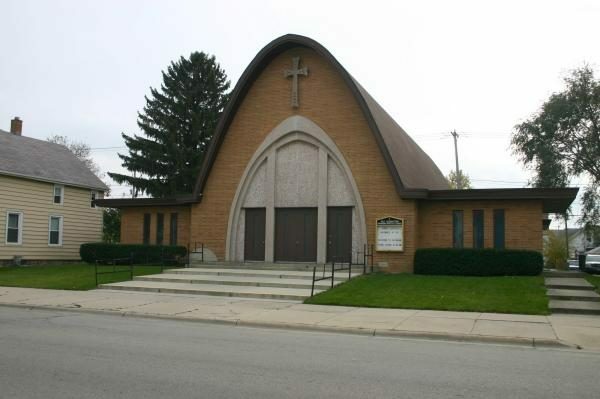 Welcome to the Encyclopedia of Milwaukee, a Digital Humanities Project sponsored by the History Department in the College of Letters and Science at the University of Wisconsin-Milwaukee. 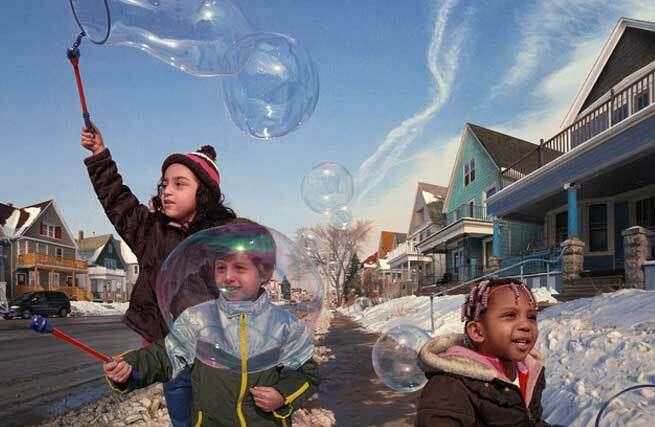 We are continuously adding new entries and illustrations, with the aim of bringing you approximately 700 entries on Milwaukee history topics ranging from arts and culture to philanthropy and nonprofit organizations to business and labor. We invite you to explore our content, learn more about the development of the project, and read our Frequently Asked Questions. Expand the “Explore More” button at the bottom of entries to read user comments and additional stories about how our authors wrote their contributions. If you would like to offer public feedback on an entry, you may register for a user account (look on the right hand side of the blue bar above) and then scroll down to the Comments section of the entry you would like to tell us more about. You may also use the Contact page to send us a direct message or the Support page to make a donation that will help us bring this project to fruition.